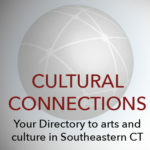 Southeastern Connecticut is home to a robust and diverse performing arts sector dedicated to the creation, production and presentation of dance, music, theatre, spoken word, puppetry, opera and more. 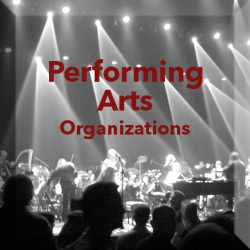 From small, local musical groups enriching our communities, to large organizations with national and international audiences, our region’s acclaimed performing arts providers are dedicated to innovation, creativity, entertainment, training and education. Since 1983, The Chelsea Players has presented over 70 plays and concerts in Norwich. We prefer plays accessible yet non-mainstream, including work by local playwrights. We welcome members interested in community theater and the arts. We have an annual festival in April for adults, partner with other organizations in November to produce a series of storytelling concerts called Tellabration, and we provide artists in residence in schools. DDD promotes the appreciation and critical understanding of dance by realizing the creation of new works by choreographer David Dorfman and his artistic collaborators. In advocating his mission “to get the whole world dancing,” Dorfman’s work has enjoyed broad and diverse audiences nationally and internationally. The Eastern Connecticut Symphony Chorus, a subsidiary of the Eastern Connecticut Symphony Orchestra, is comprised of approximately 80 auditioned singers. The ensemble presents classical works by Beethoven, Mozart, Haydn, Mendelssohn and many other major and contemporary composers. The mission of the Eastern Connecticut Symphony Orchestra is to inspire, educate, and connect our communities through live orchestral music. Since 1946, the ECSO has been dedicated to presenting amazing performances on and off stage in our community.